Harun-or-Rashid (2012). 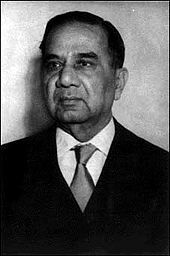 "Suhrawardy, Huseyn Shaheed". In Islam, Sirajul; Jamal, Ahmed A. (eds.). Banglapedia: National Encyclopedia of Bangladesh (Second ed.). Asiatic Society of Bangladesh. Harun-or-Rashid (2012). "Partition of Bengal, 1947". In Islam, Sirajul; Jamal, Ahmed A. (eds.). Banglapedia: National Encyclopedia of Bangladesh (Second ed.). Asiatic Society of Bangladesh.